The BMA has detailed the actions to take place in April 2016 here. 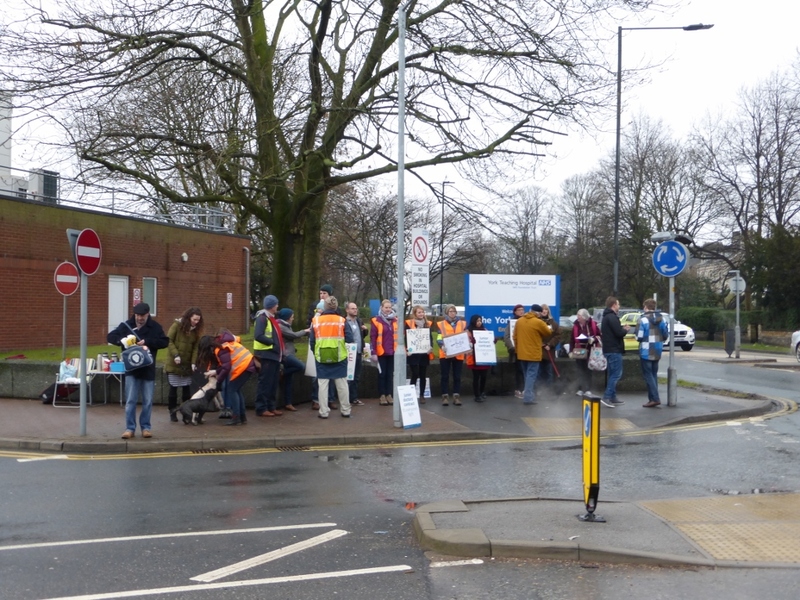 In York supporters are asked, where possible, to gather at 7:45 on the first day at Groves Chapel in order to march to the picket lines in front of York District Hospital for 8:00. There will be opportunities to show support for the doctors during both days of each action. This entry was posted in Publicity and tagged junior contract, junior doctors, junior doctors strike, York. Bookmark the permalink.